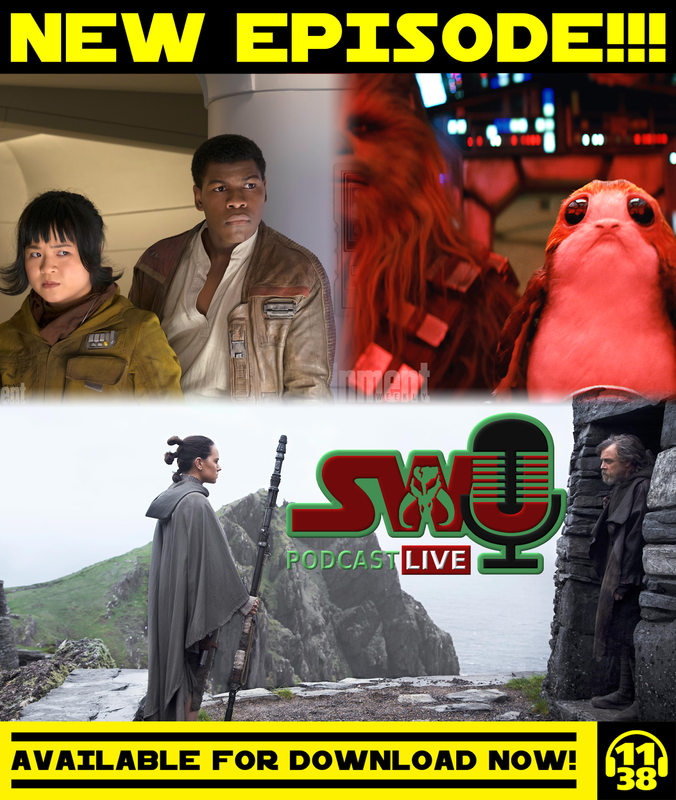 On this episode, Chris, Ben, and Dominic break down the massive The Last Jedi preview from Entertainment Weekly! They discuss Luke's mental space in The Last Jedi, what Finn's arc with be, the major themes they foresee in the film, Poe and Leia's relationship, news about "DJ", and a discussion about what Chewie eats on Ach-To! (Hint: it's not just Porgs!) Plus, the latest from Ron Howard and Donald Glover on the young Han Solo film, Battlefront II updates, Disney pulls out of their deal with Netflix, and this week's Captain Rex controversy. All this and much more!